This class was taught during 10 class sessions at our local co-op. I have combined some of the weeks into this 6 week blog series. The tenth class period was spent making display boards to display during our afternoon of enrichment. Last week, students were required to find a home they could afford to buy and research a little about home loans. Some of the students learned that they didn't have enough savings for a down payment or didn't have enough income to afford to buy a house, yet. In class, we discussed types of loans and some decisions that need to be made when purchasing a home. generally, these are not a good idea for a long term loan. Even though the initial rate is lower, the rate can fluctuate annually. A comparison of these two mortgages can be found at Wells Fargo. I showed students the cost savings of a 15 year mortgage vs. a 30 year mortgage. Often, the monthly payment is not much more for the shorter loan period, but the overall savings is significant. The option to pay more on the principle to pay off a 30 year loan (or any loan) sooner was also taught to the students, using a personal example. To add to the 'real world' scenario, couples participated in a baby 'lottery' this week. The couples drew slips of paper that either said "congratulations, it's a boy", "congratulations it's a girl", or "no". The probability of any of the 4 couples getting a baby was 25%. One couple added a baby girl to their family and had to adjust their budget accordingly as well as decide if the mother would continue to work or be a full time mom. 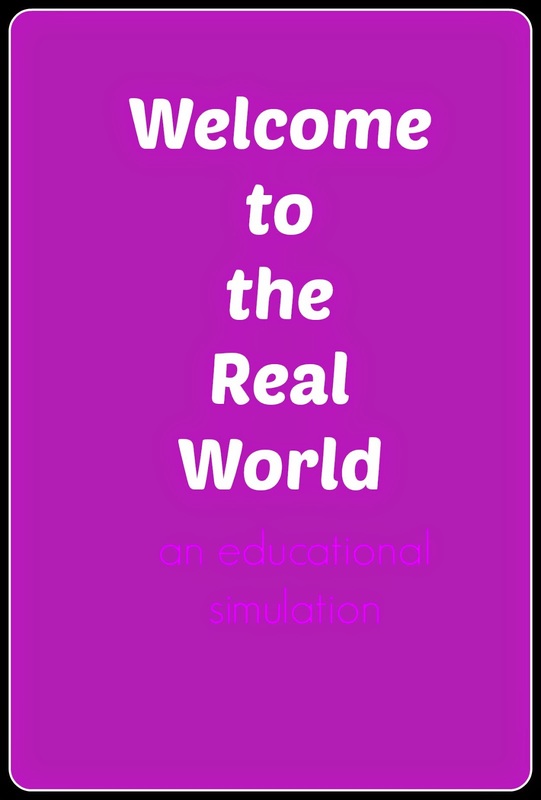 In an attempt to replicate real life, students were given raises and new job offers as well. If the job was in a new location, the student had to choose to accept or decline the offer as well as research housing in the new location. Giving high school students the opportunity to participate in a 'real life' simulation is a fun way to teach them about finances, budgeting, and decision making. I do not have a crystal ball and cannot predict the future. The 'perks and pitfalls' students were given in class was not an indication of how I think their life will be. There are too many variables in 'real life' that keep us from being prepared for everything that may come our way. Sometimes, we do have to learn as we go. Does this mean we should not try to be prepared? No, good financial habits and decision making are excellent life skills to possess. I hope this series has been helpful or at least thought provoking for you. If I was unclear about anything, feel free to comment and ask questions.